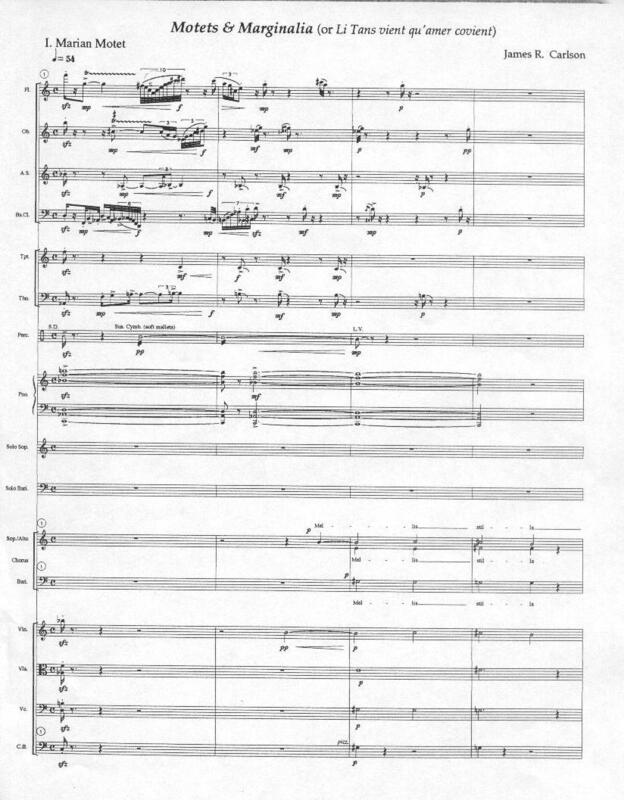 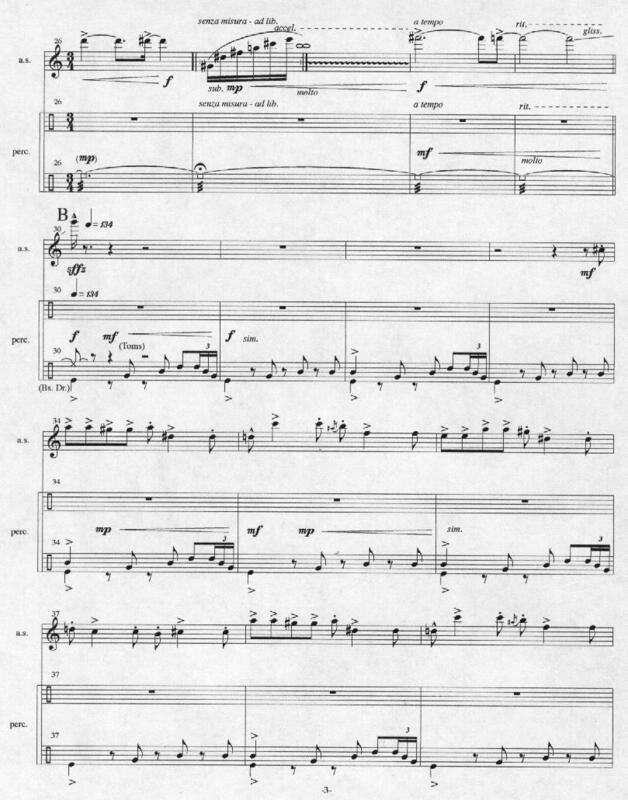 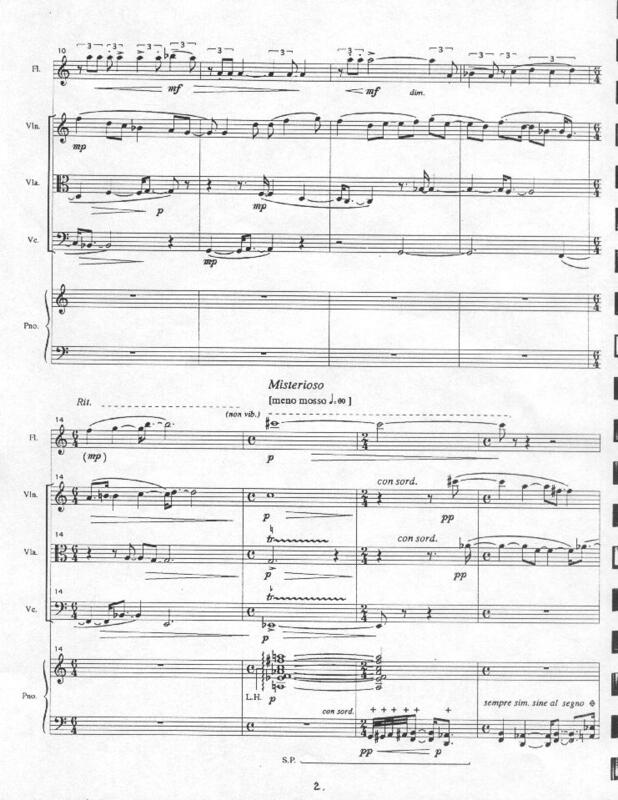 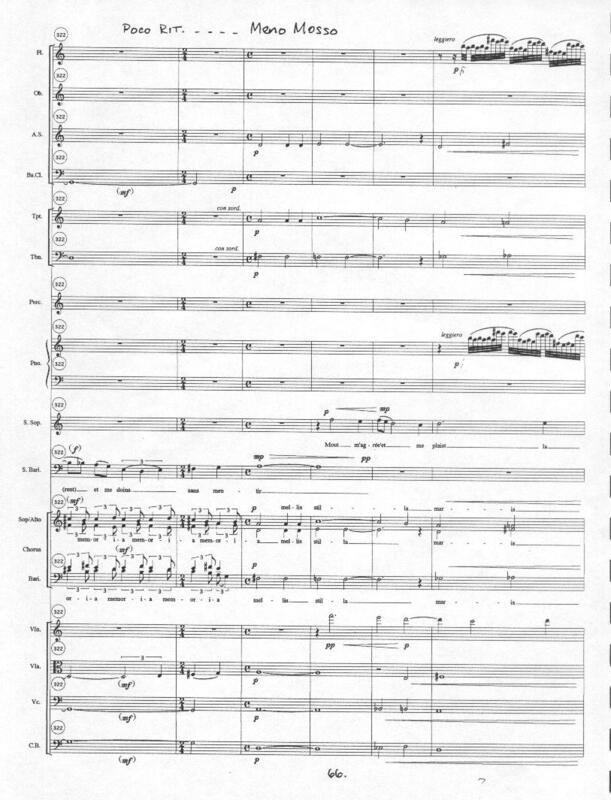 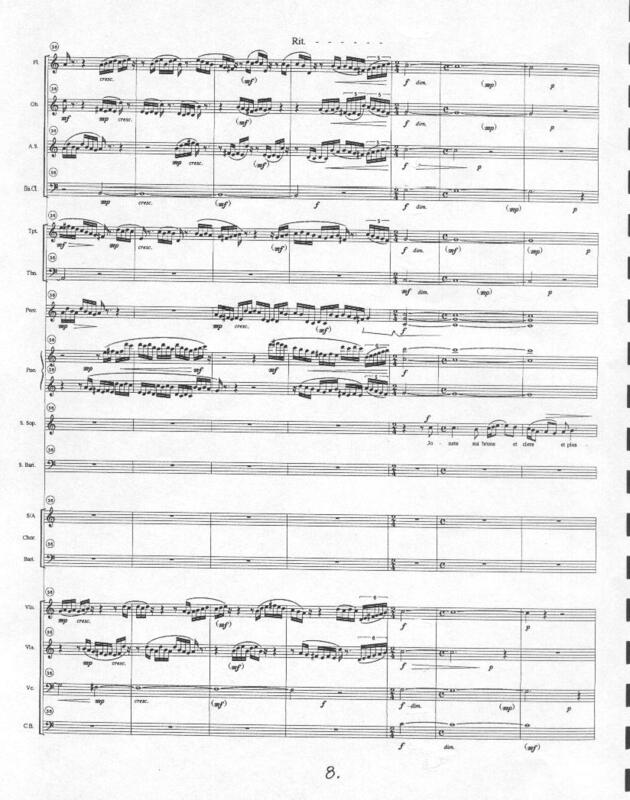 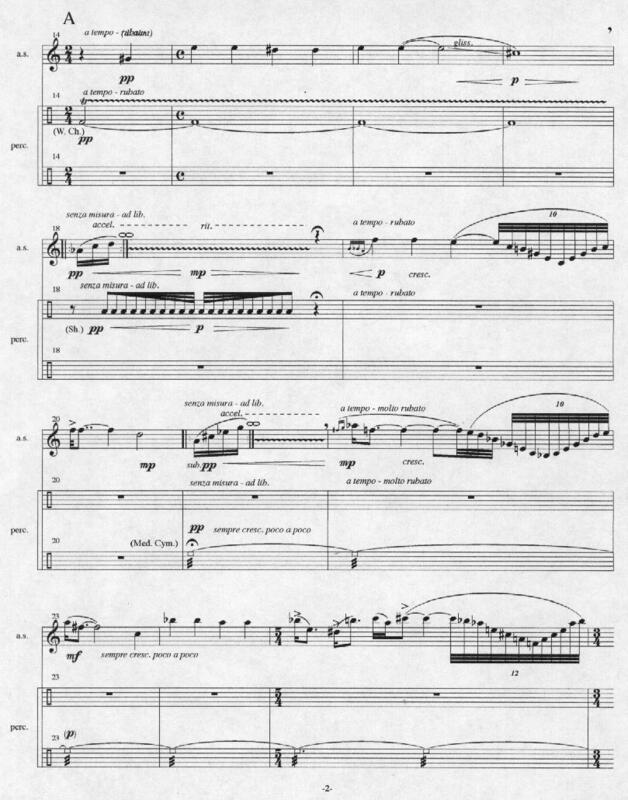 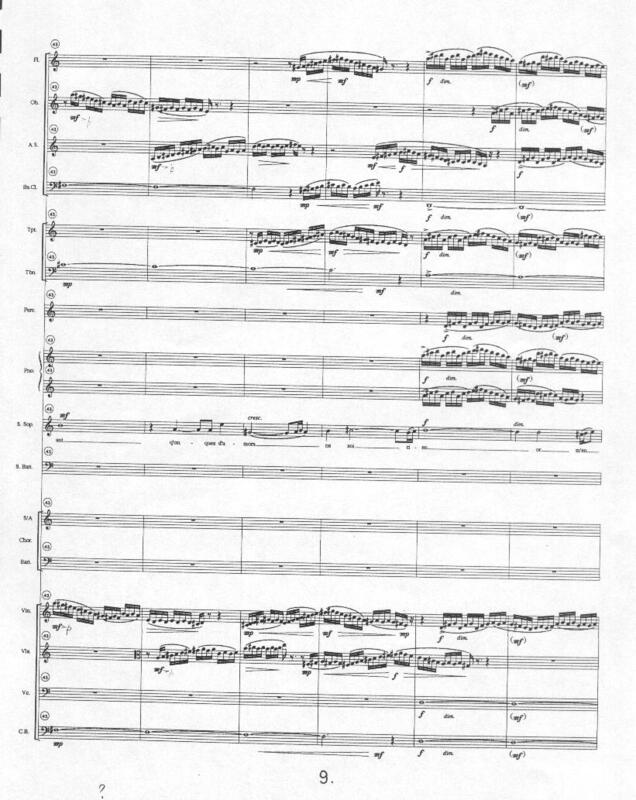 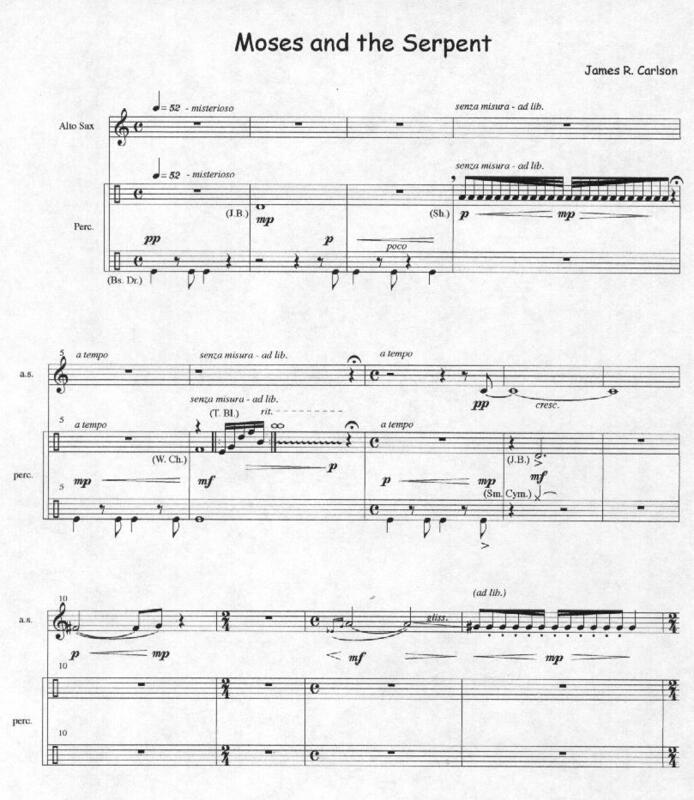 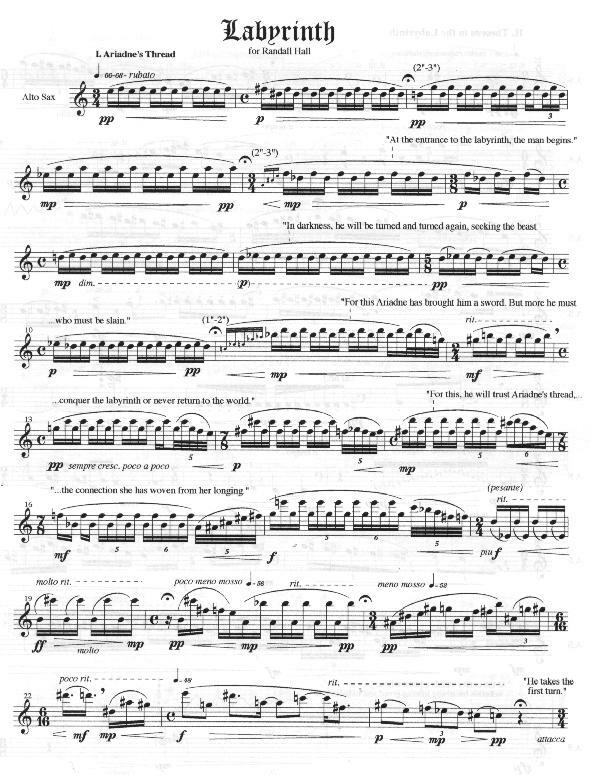 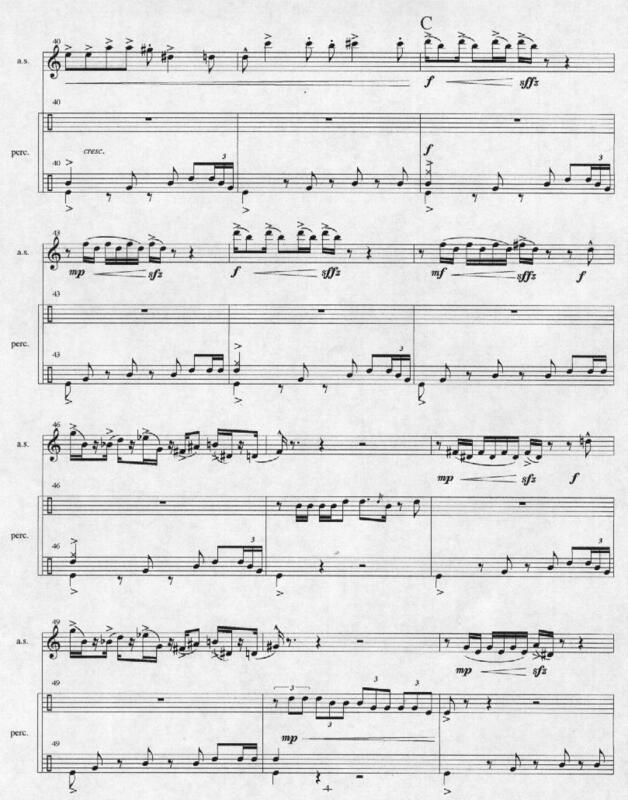 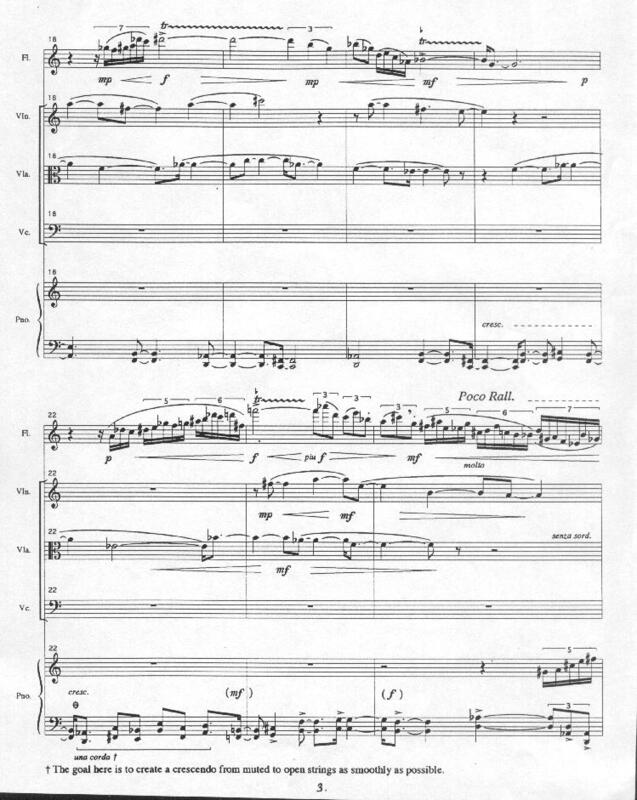 Here are three 2-page excerpts from the score. 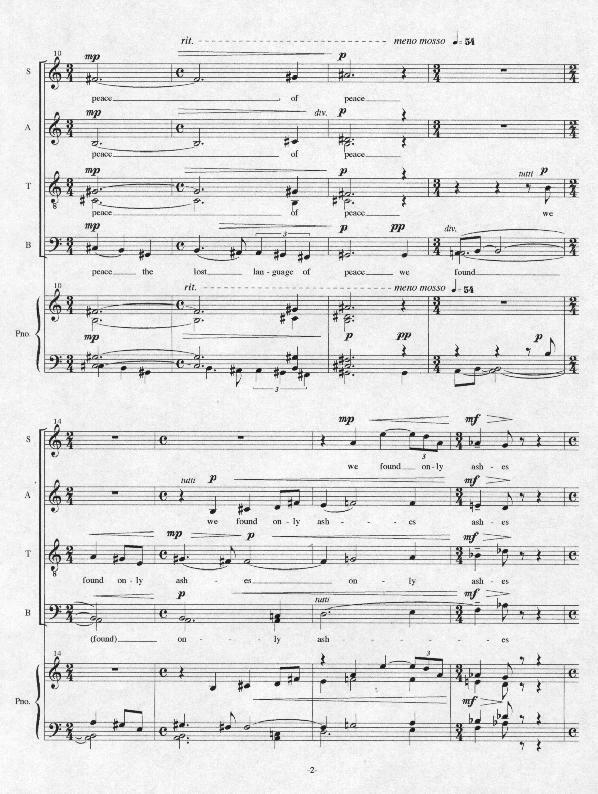 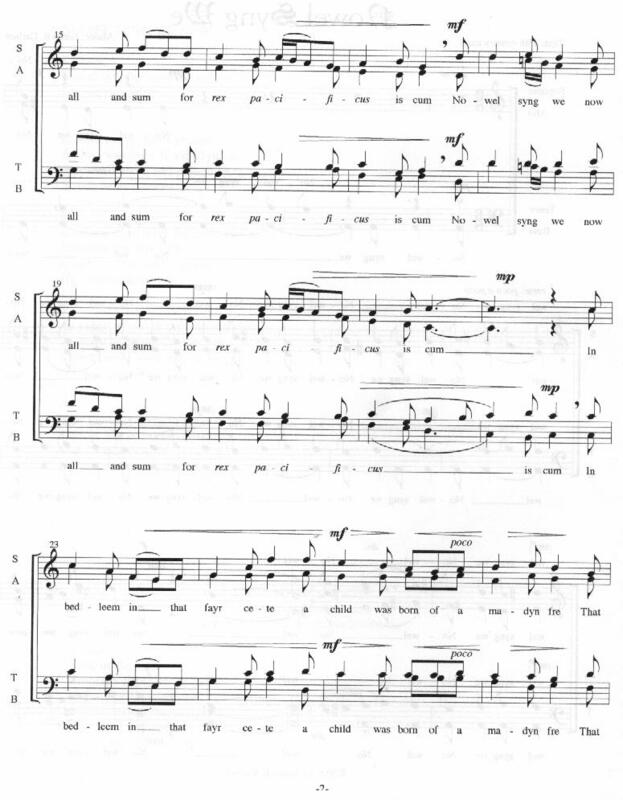 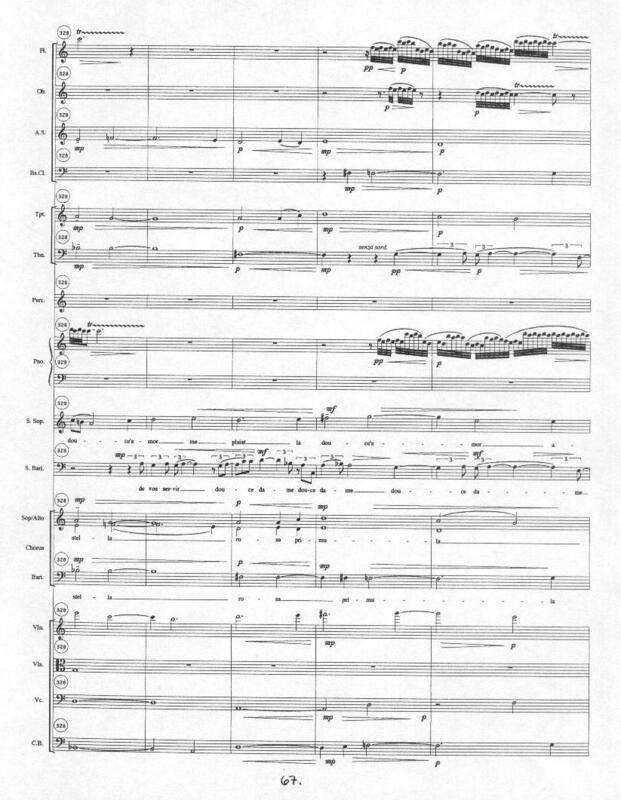 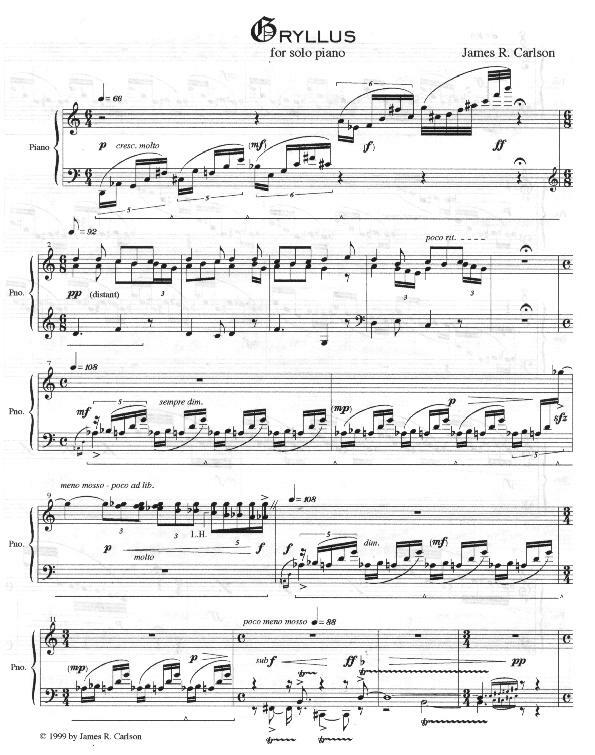 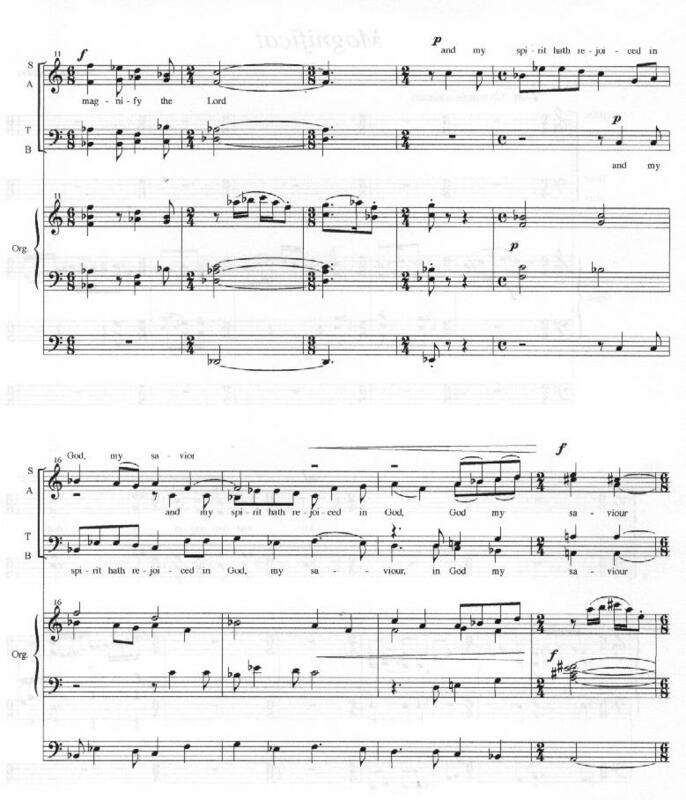 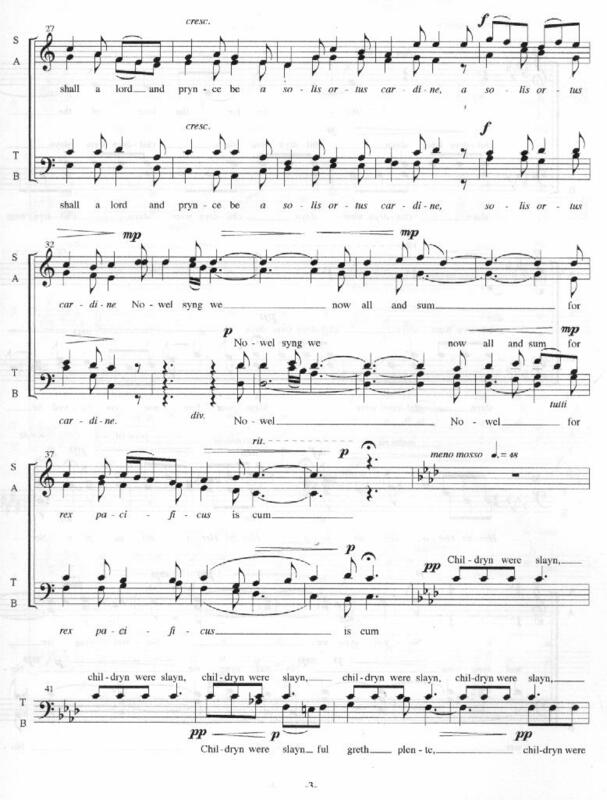 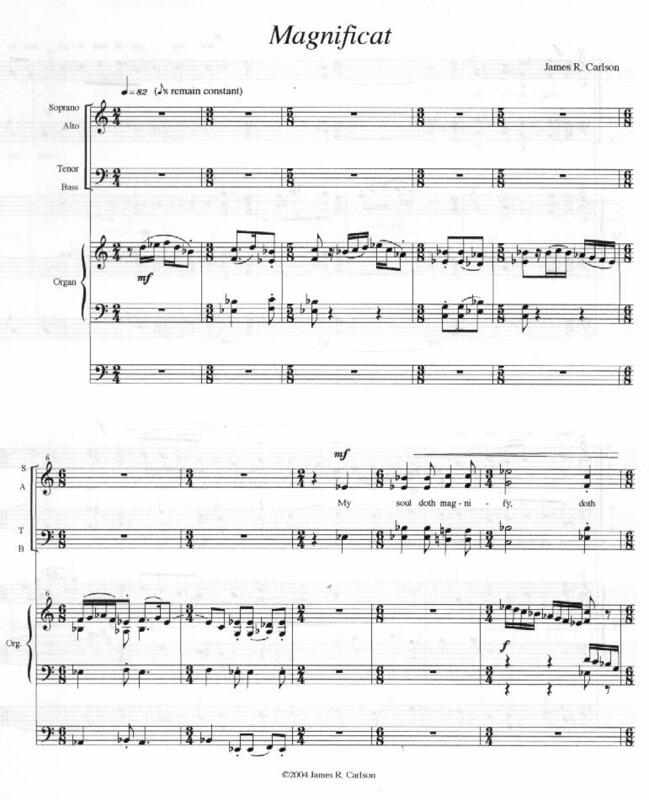 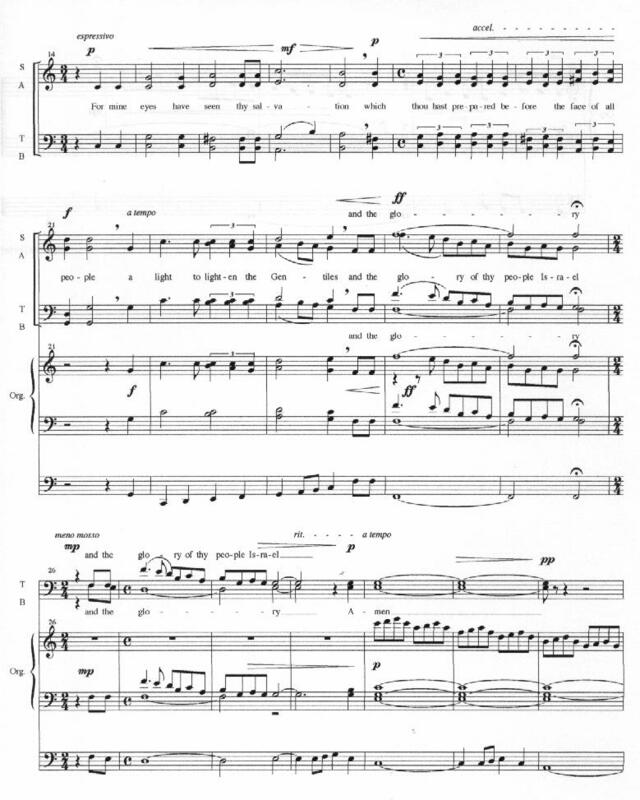 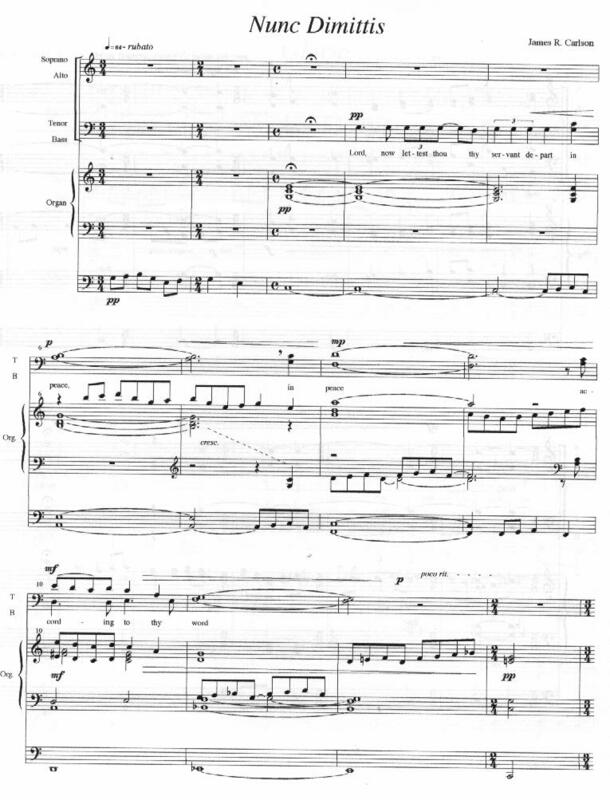 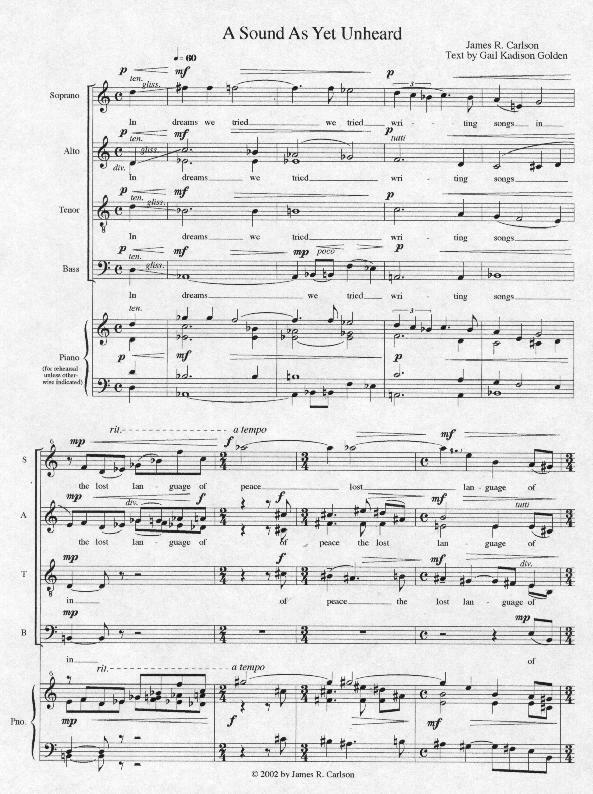 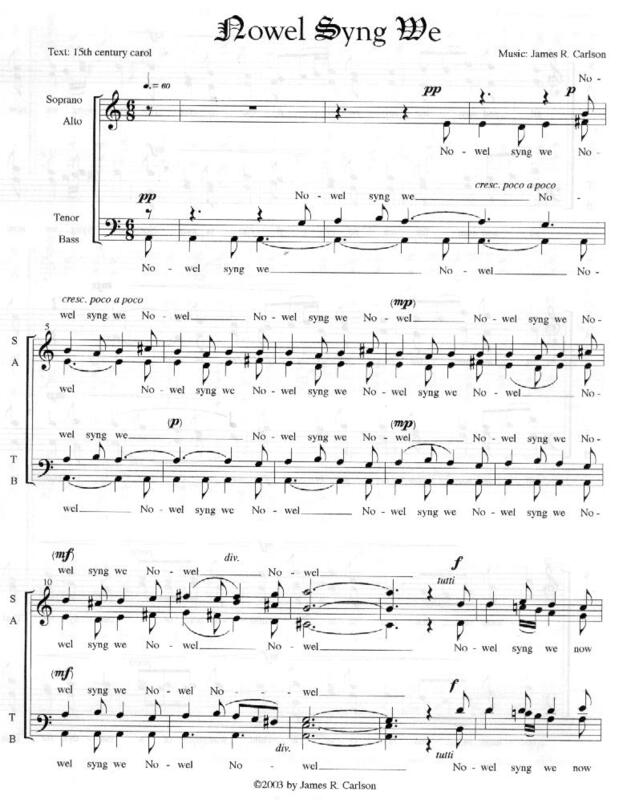 The first two pages are from the work's opening, the second two are from Marotele's Motet ("Mille Fleurs"), and the the last two are from the concluding section. 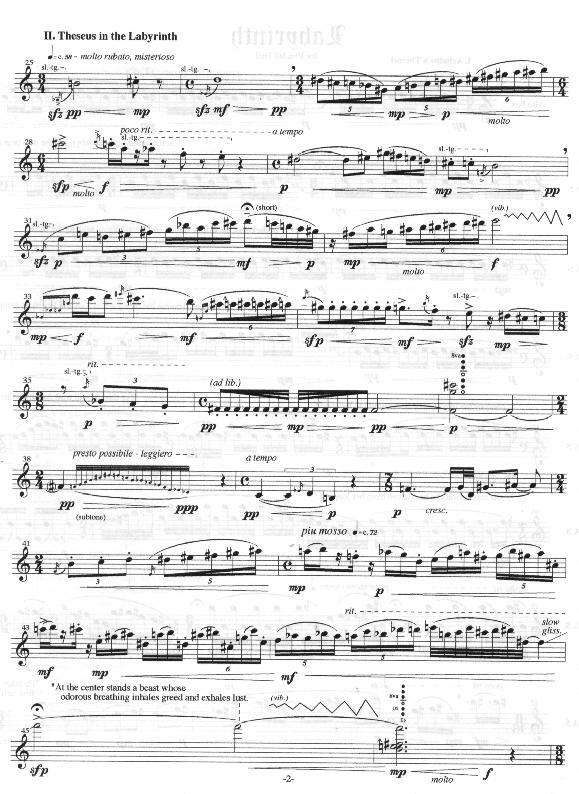 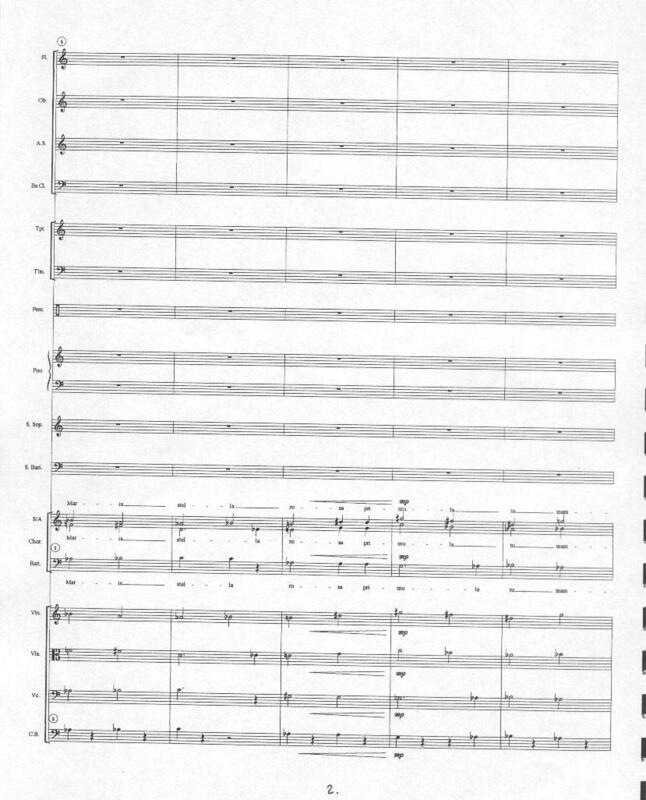 Here are the first two pages of each movement.